Jim Cooney has for many years been a thought leader and consensus builder around issues of social responsibility and sustainability in the extractive sector. In 2011, the Canadian Institute of Mining, Metallurgy and Petroleum recognized his contributions over many years by honoring him with the Syncrude Award for Excellence in Sustainable Development. 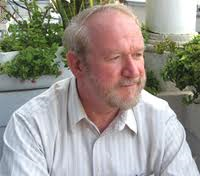 Jim is a founding member of the RMSI team, and chaired its inaugural dialogue in January 2011 on the subject of “Business and Human Rights beyond Ruggie”. He is also a Senior Associate with Canadian Business for Social Responsibility (CBSR) on extractive sector strategies for integrating sustainable economic growth, social progress, environmental protection and effective governance. He is also a founding member of the Canadian Business Ethics Research Network (CBERN), he engages with leading thinkers based in universities, corporations, non-governmental organizations and governments in exploring corporate ethics and best practices related to issues of human rights, socially responsible investing, indigenous peoples, and resource extraction. Jim retired from Placer Dome, as Vice President, International Government Affairs, when that company was acquired by Barrick Gold in 2006. During his thirty years in the mining industry, he has worked on projects in Canada and in many countries of the developing world. He played a major role in the Mining Minerals and Sustainable Development (MMSD) project from 1998 to 2002, which created a new framework for understanding and advancing corporate social responsibility in the global mining industry. Jim has served on the Boards of Transparency International – Canada, the North South Institute, the Canadian Chamber of Commerce and the Pacific Basin Economic Council. He was a member of the Advisory Group appointed by Foreign Affairs Canada on Corporate Social Responsibility in the Canadian Extractive Sector in Developing Countries, which held hearings across Canada and submitted its report to government in 2007. Over the years, he has served on many advisory panels to Natural Resources Canada, the World Bank, and agencies of the United Nations. He holds a BA in philosophy and political science from Georgetown University, an MA in East Asian Studies from the University of Toronto, and an M. T. S. from the Vancouver School of Theology, for which he wrote a thesis on Christian Ethics and Corporations. He is a frequent writer and speaker on the subjects of mining and sustainability, corporate ethics, and social and political risk management.